Pimped out Party Bus for 1 hour or an awesome Airport Transfer? This night in Wrocław will, for sure, make you remember this city from a different perspective. Our package sets your group for the great start of the weekend whether it’s just the arrival at the airport or an easy 1-hour ride around the streets of Wrocłąw. Our Party Bus can host up to 25 people. On board, you will enjoy one big bottle of vodka or sparkling wine – YOU CHOOSE – while a private DJ will play all your favorite songs. If it’s not the best thing about it – then I don’t know what can be. The temperature in the bus will raise up to the ceiling! Feel free to add as many more bottles as you wish. Just order it on the next step of your booking and we will take care of the rest. Feeling like all of this is not enough? Later on in the booking process just check off the option to hire a photographer, a dancer or an additional hour of partying with the dancing bus. Book now! We can’t wait to see you dancing like a party animal! 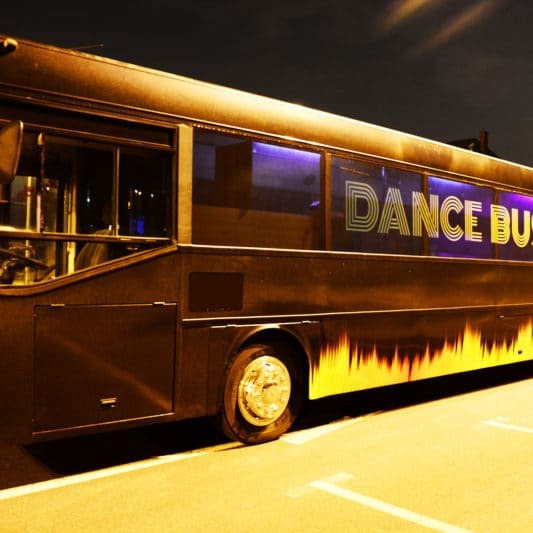 PARTY BUS IS THE BEST MOBILE PARTY YOU CAN THINK OF! It’s a great place to do bachelor or birthday party, anniversary, corporate event or any other you may dream about. 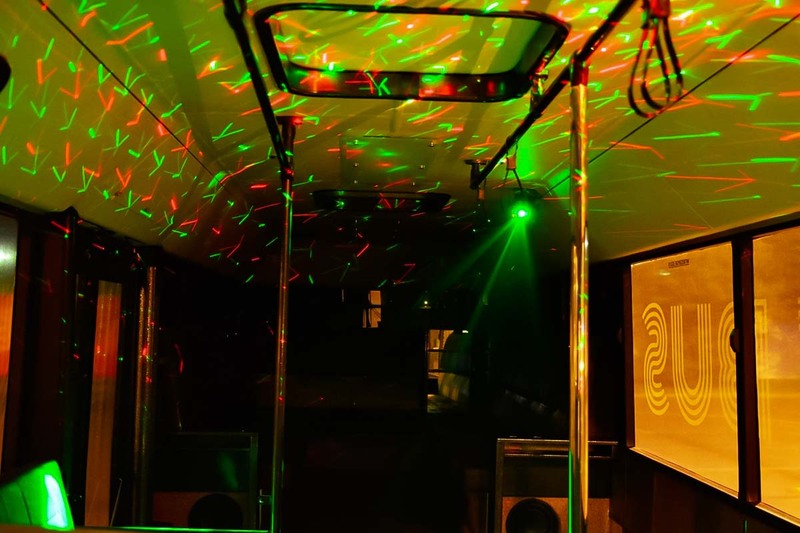 If you want to play with friends in one of Wroclaw’s clubs and you want to make it with style don’t hesitate to book the best party tour in this amazing city! 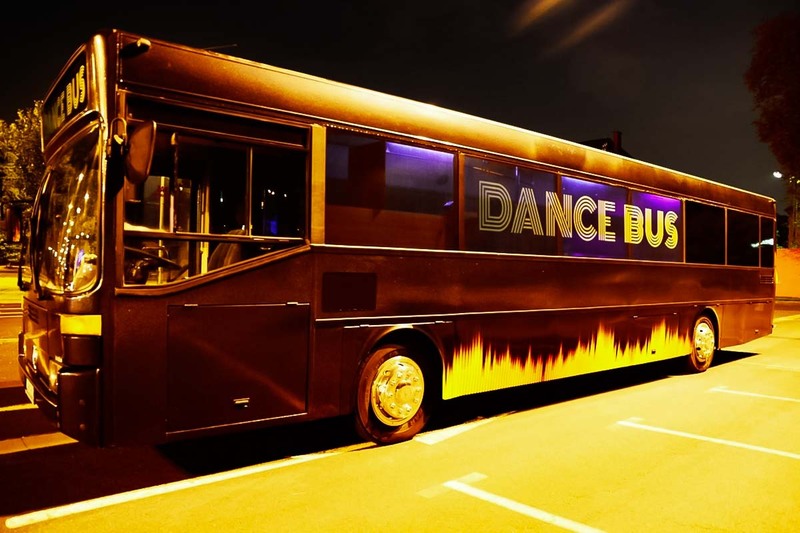 Party bus will pick you up from wherever you want and let you dance and drink enormous amounts of alcohol on the way to the special place YOU choose! What about the DJ? You got it. Fun? Are you really still asking? 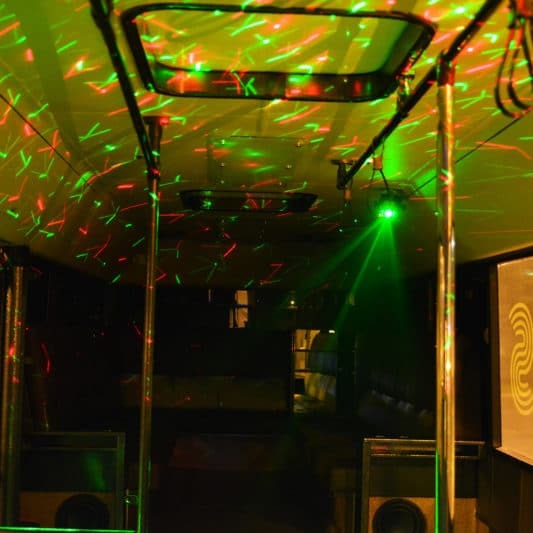 What’s included in the Party Bus Wroclaw? Leather seats, dancefloor, pole, glassware, ice, ..